The term ‘neo-Western’ has never been more appropriate. Gritty Australian films seem to slide right into the genre, like The Rover, but then again almost every Australian film has a bit of a Western vibe by default. 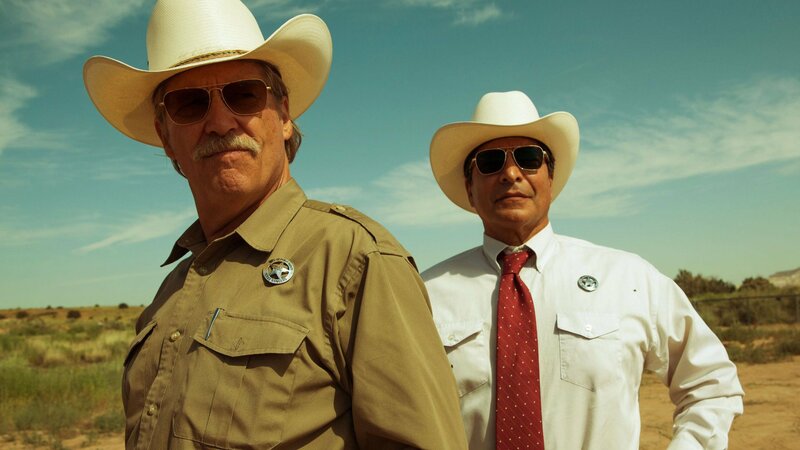 American movies like Ain’t Them Bodies Saints and No Country for Old Men keep the theme fresh, depicting modern violence in a places clinging to the old ways. 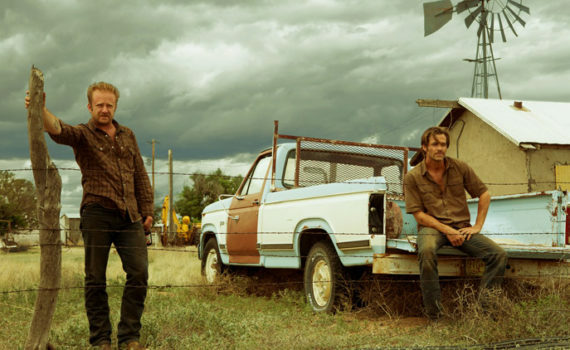 But Hell or High Water perfects the neo-Western in a way that many have tried but few have achieved. It manufactures a story & a mood that could be transplanted into a setting 200 years ago without missing a beat. Its characters, dialogue, and plot could have been plucked out of time and placed in a Texas desert for our entertainment. In short, this film steps up to define a genre, layers in perfection like that’s simple, and is easily the best thing I’ve seen in theatres this year. Toby & Tanner Howard are bank robbers, though not out of the typical greed. The brothers steal small bills in small batches, from small banks, and in a very small amount of time. Texas Ranger Marcus Hamilton guesses rightly that they’re after a certain amount, are attempting to collect it in a certain window, and have a certain reason for committing the crimes. But he doesn’t know their motivation, something only the brothers can understand. Tanner may be a criminal from a young age, spending almost as many years of his life outside as he has behind bars, but Toby is cut from a different cloth. He’s quiet, hard-working, has two boys, and just wants to provide a life for them that will never mirror his own. As violence begins to bubble under the surface of what begins as a relatively harmless crime spree, the Rangers move in closer, the brothers become more desperate, and all will not end well. Trade in trucks for horses and you’ve got a period Western. Trade in neckties for bandanas and you’ve got a costume drama. Trade in 2016 for 1816 and this story makes just as much sense. A neo-Western done better than I have ever seen before, Hell or High Water could go down as a film school example of what to do right. From its setting to its direction, not a moment seems out of place, flowing smoothly from comedy to tragedy as if Shakespeare himself had written the script. It’s this simplicity that makes the film work; make us cry & then laugh and you’ve got us in the palm of your hand. The bleak landscape acts as the perfect backdrop for this story, with an added modern twist of big bank bludgeoning that adds moral importance to the plot. Who are the real criminals here, the suits that set simple people up to fail or those who have the nerve to fight back? This film has the gall to ask that question and the talent to do it well. Chris Pine acts as the front man, often the straight man, and couldn’t have been stronger. If you saw Z for Zachariah you know what he is capable of outside of the Star Trek universe, and he brings that same handsome drawl to this role. But where there he was a touch sinister, here he is a flawed hero, showing an ability that I predict will no loner go unnoticed. Ben Foster as his rowdy brother was just as solid, and has been underappreciated for far too long as well. Many years away from Flash Forward & Freaks and Geeks, Foster has proven himself time after time, from Westerns like 3:10 to Yuma and sci-fi like Pandorum to the aforementioned Ain’t Them Bodies Saints and the true story of Lone Survivor. And then there’s Jeff Bridges, who I think we can now call one of the best actors of our time, rivaling even Tom Hanks with his body of work. 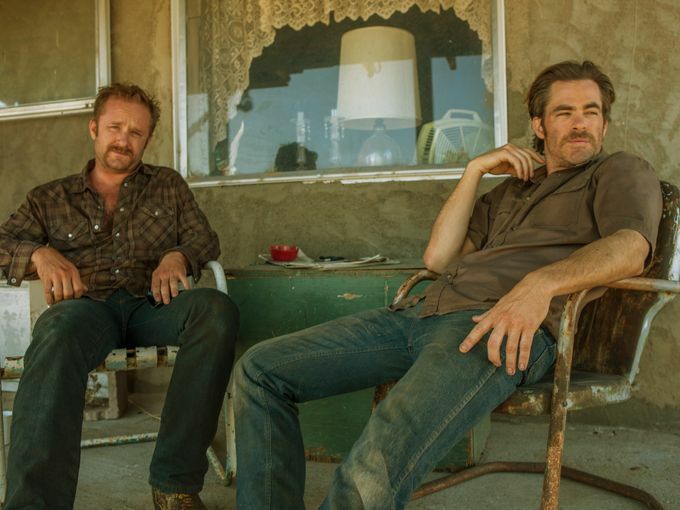 Everything slides into place for Hell or High Water; the setting, the acting, the well-chosen music, the glorious cinematography, the simple story with its complicated undertones. Hands down, this is the best drama of 2016 so far, and I can only hope that it isn’t forgotten under the weight of all the Oscar-contenders that are to come; it deserves not to be buried.